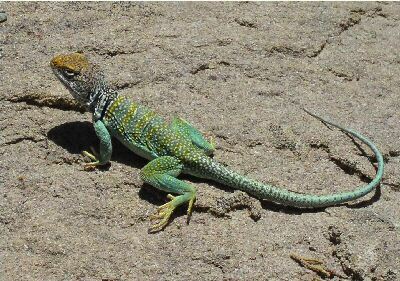 This photograph of a male Crotaphytus collaris was taken by Cristine Longacre at the Navajo Dam in the northwestern part of the state. Photo used with permission. 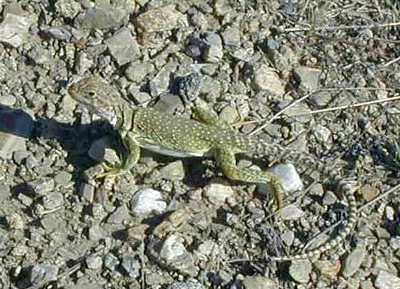 Another beautiful male in the Navajo Dam area (along the San Juan River). Photo by Allen Langley, used with permission. 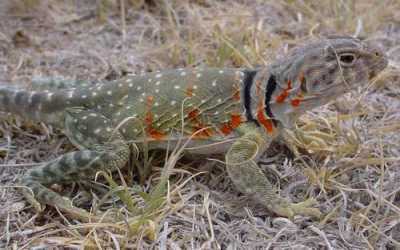 This is a female C. collaris in a cemetery near Cerillos, photographed by "Ollie E" and used with permission. Erik McCormick found this handsome male between Artesia and Carlsbad. Photo used with permission. 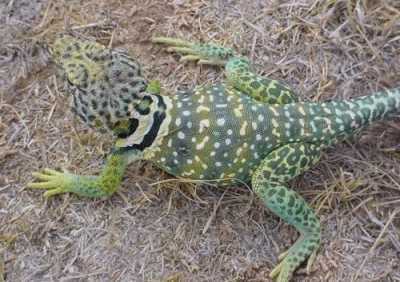 Erik also found this gravid female near Carlsbad. Photo used with permission.